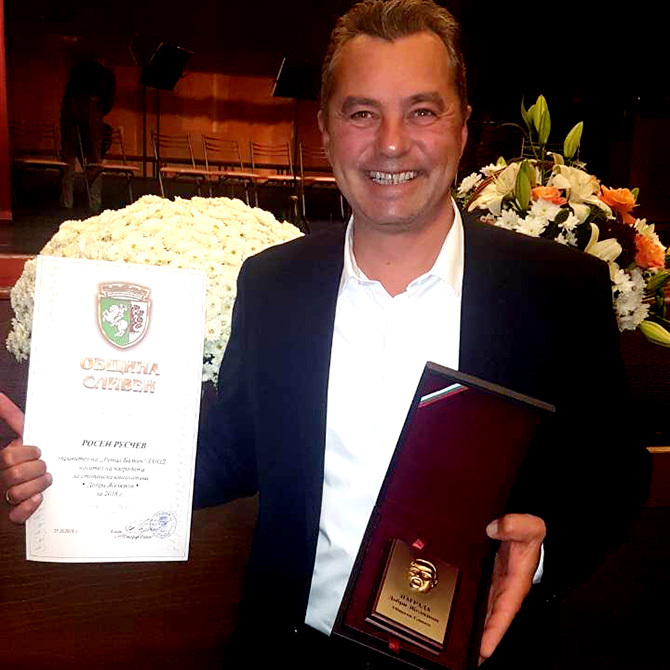 Ruschev is General Manager of RETAL Balkan, based in Sliven, Bulgaria, where the announcement of the Dobri Zhelyazkov Prize for Business Initiative 2018 was made, with the presentation ceremony held on October 25th, 2018. Named after the renowned first Bulgarian factory owner, Sliven-born industrialist Dobri Zhelyazkov, the award celebrates 'economic initiative' and was announced by the Municipality of Sliven. RETAL Balkan is a leading player in the Balkan region, producing standard and customized preforms and closures for local, national and multinational customers across the food and beverage sector. RETAL's President Anatoly Martynov, on behalf of the Board of Directors, congratulated the General Manager and his team on winning this recognised award.